Change is in the wind! 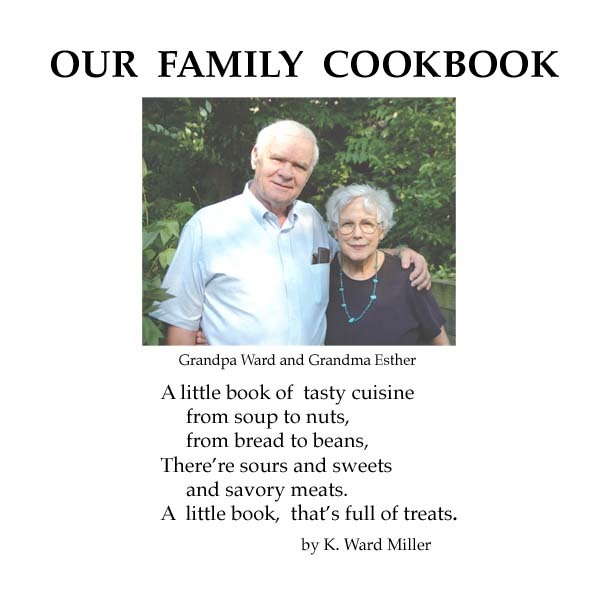 Ward and I want to let you in on our plans. We are 98% sure that we will soon be moving to a condo in Robin Hood Condominiums, associated with Grace Village Retirement Community at Winona Lake, Indiana- right next to Warsaw. 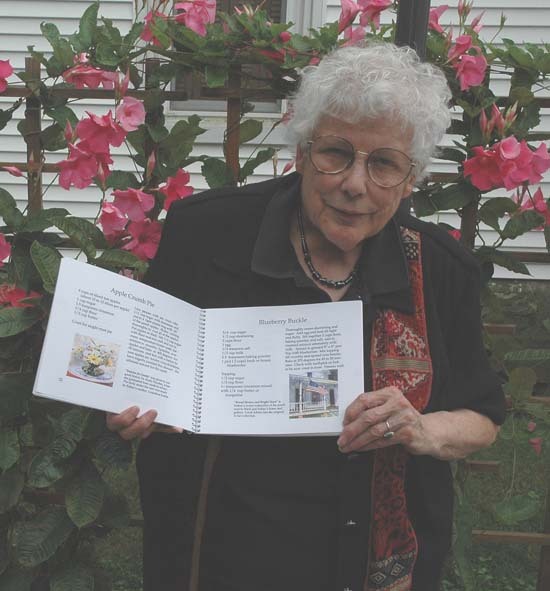 While we are both "young at heart", Father Time has a nasty habit of sneaking up on us, and this move will make it easier for us to continue to pursue our creative life and our personal life. All exterior maintenance will be done by someone else, and our lives will be easier and simpler. Grace Village is lovely, and a very friendly and helpful place, and we are looking forward to happy, productive and safe years there. 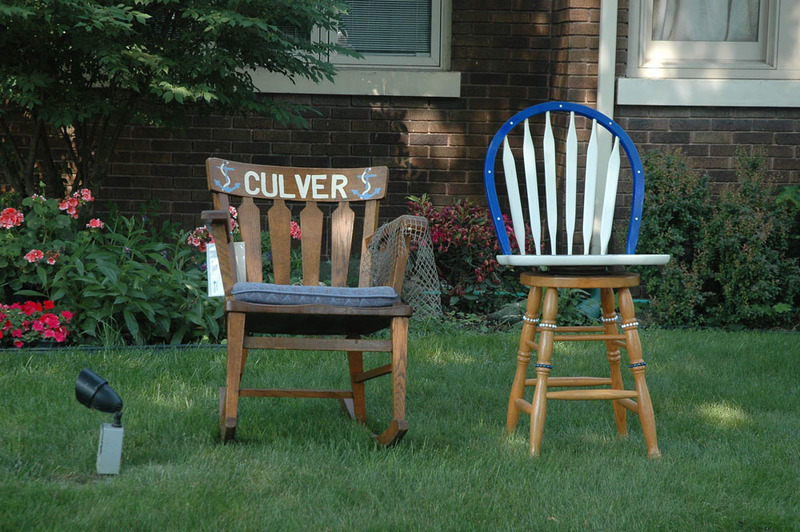 It is very hard for me to leave Culver - I have had a home or property here for 58 years and I appreciate all of the amazing generosity and kindness that people in this town have given first to me and my children, and then to Ward and me. 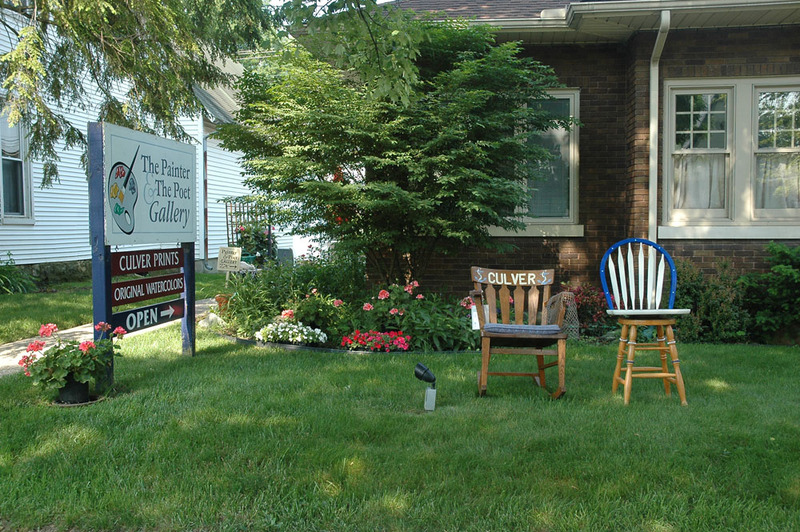 Grace Village is only 45 minutes from Culver and we plan to return often!! While living in Grace Village, we will not have a retail outlet, but you may purchase our unmatted prints, cook books and Ward's books online through our web site www.painterandpoet.com . 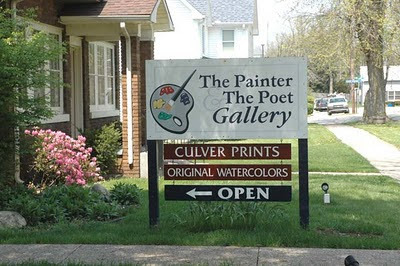 We are delighted to report that Painter and Poet prints will be available here in Culver at Gail's Shop. 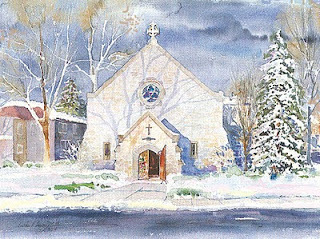 And Culver Academies' Bookstore will continue to carry our Culver Academy Series of prints. 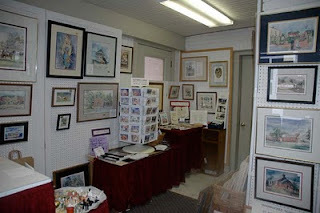 Ward and I have worked hard and lived our dream for the last 14 years operating our own small gallery housed in several locations along Main Street in Culver. 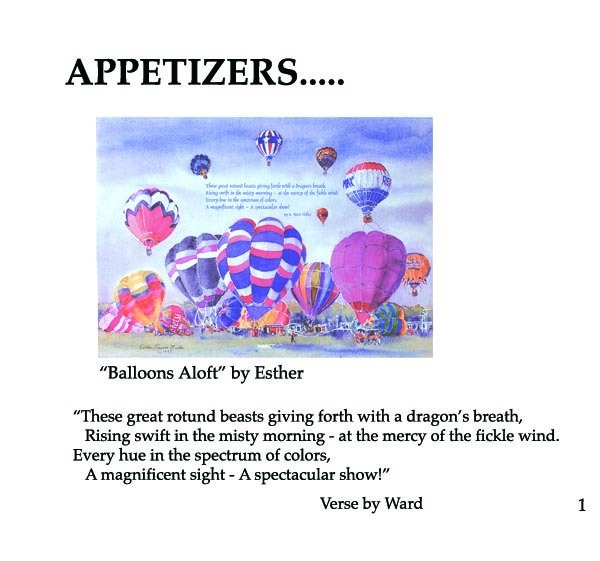 It has been such a pleasure to share our artistic work. We will miss the many customers and friends we've met through our painting and poeting, but all good things (and fortunately also - all bad ones) end, and we look forward to the next chapter. 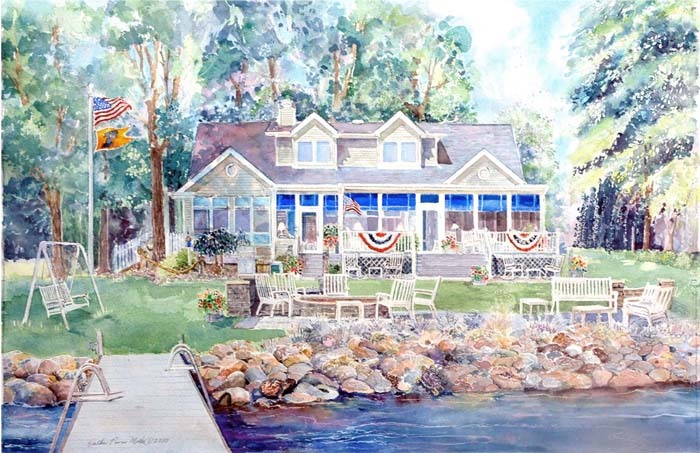 Our move to Winona Lake will allow me to concentrate on painting originals, and plugging away on long delayed commissions. My studio there will be larger than the one in our Culver home. 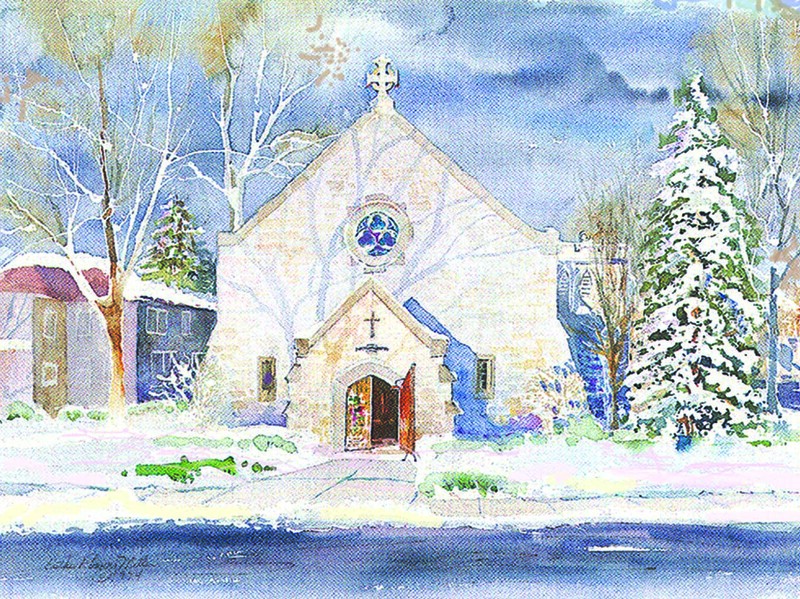 And after we are settled in our condo, I will be joining Daily Paintworks site online and posting small originals on that site. Fear not - the art gene is still strong and urgent in my innards! 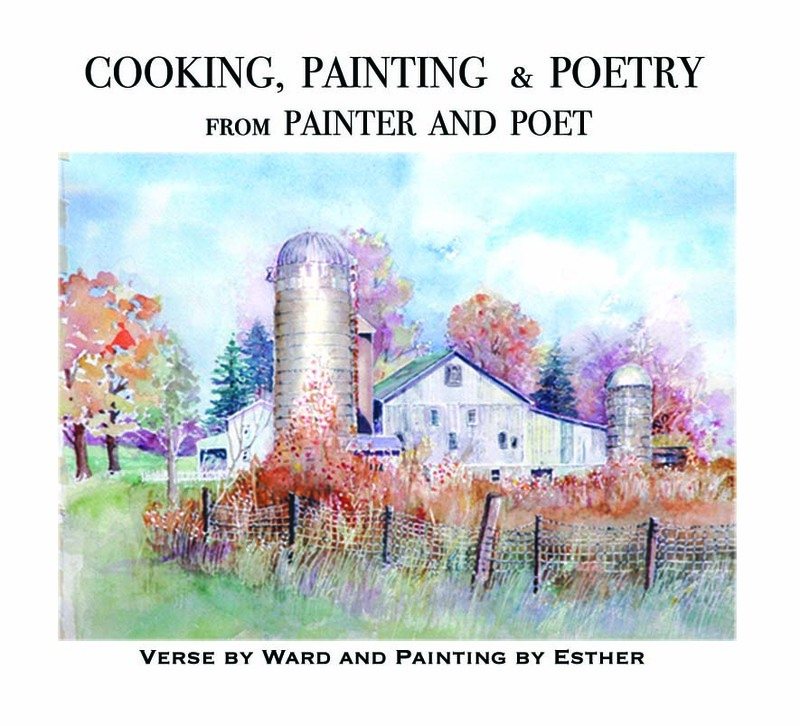 Ward continues with his poetic musings and years back he wrote a wonderful poem called "My Indiana Home" - I am looking forward to finishing the small watercolors needed to illustrate this poem which will then morph into a poster. That will be my first project after we settle in our new home..
We want to reduce our inventory before we move, and so are having a whopping 50% off sale only on all the framed and matted prints now in our gallery. This sale does not include unmatted prints or any of our other gallery inventory. While we plan to stay open as much as possible, our "for sure" hours will be Fridays and Saturdays from 10 till 5. To come at other times, check our open sign or call ahead. 574-842-8888. We will accept phone orders with credit card payment, and will be glad to mark your purchases and set them aside for pick up. If you want to pay by cash or personal check, we will mark your artwork, set it aside and hold it for up to 5 days so you can arrange to pay for it when you get it. We will accept credit cards and personal checks. All sales will be final. Sorry, because of the confusion of this move we cannot arrange shipping. More details on how to purchase items from Painter and Poet will be posted later. We hope to be settled in our new Grace Village home before Thanksgiving. As soon as our condo lease in Robin Hood Condos is finalized, our Culver home will be for sale. 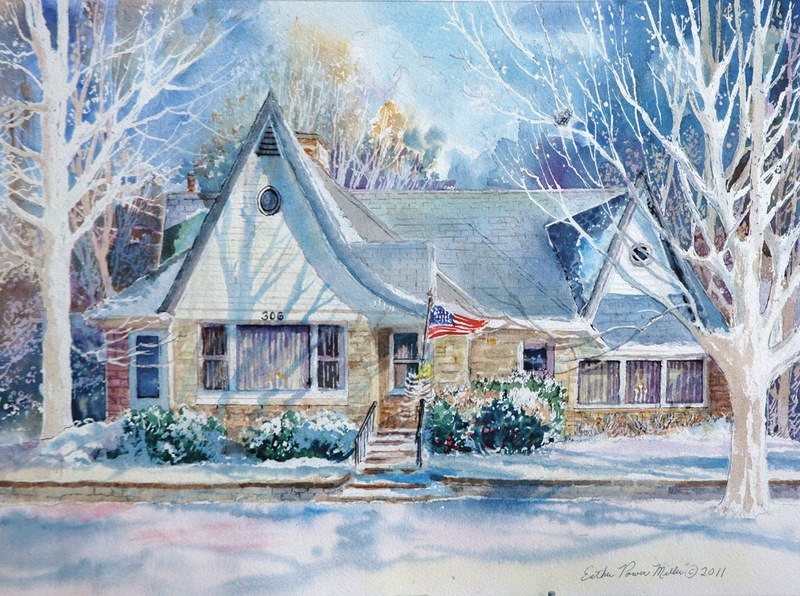 I'll blog again and give you more information on our Mission style brick bungalow, a house that struck my fancy for many years before we purchased it about 13 years ago. We have loved living in this house and hope the new owners will enjoy it as much as we have. 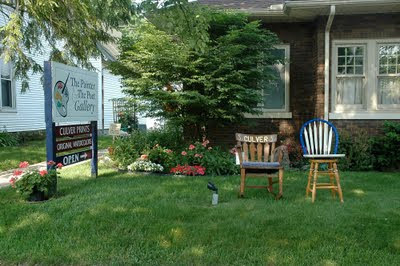 A view of the front of our gallery as it will appear in late spring! 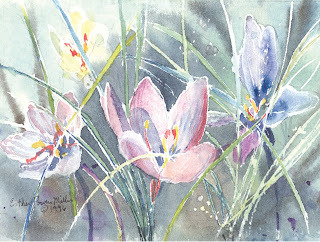 http://artandearthtrail.com/trails/index.htm Go there to find out more about these trails, and when you visit our gallery, be sure to tell us that you are following this trail. When you get on the web site, click on "stories" - we are honored to be featured on our loop - (TIME TO UNWIND). Milestones in our lives like special reunions, weddings, graduations, etc. 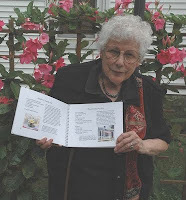 inspire us to undertake major and minor changes - in our bodies and in our homes. Well! Being included on this tour is a similar catalyst for us. The prospect of opening our gallery, our studio and a section of our home to visitors from this tour - has encouraged us to freshen up our gallery - we've bought some spacious baskets to hold most of our prints, rearranged some of our space, and hung more of our personal collection of my originals in our home for easy viewing. And we've gone high tech, with a wifi radio, and will have wonderful music in the gallery when I can figure out how to program the sucker. Our kitchen has just been repainted- cabinets inside and out - utter chaos. In about a week, I hope to finish pitching and sorting - in preparation for a few minor furniture moves in the studio (the final step in readying our home/studio/gallery) Then, I myself will be planted - painting in the studio. Which reminds me - in front of a south window are twelve little glass jars containing healthy starts from our beloved old Christmas cactus. Earlier this week, we bought clay pots and saucers. And as soon as we get the right potting soil mix, I'll plant them. 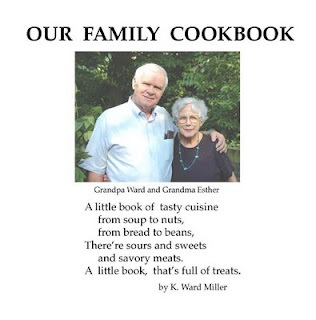 Have finished proof reading our family cookbooks, and will print a short new edition. Will keep you posted on that. Remember we have definite gallery hours on Fridays and Saturdays from 10 till 5, and other times whenever the sign is out, by chance or appointment. Call us at 574-842-8888 for an appointment and we'll do our best to be open when it is convenient for you. Yesterday's Blog-What happened to the turtles? 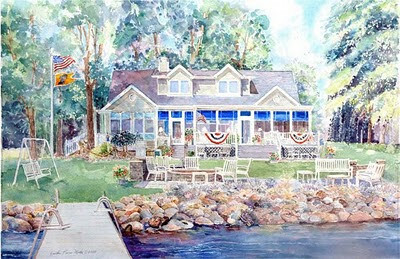 Maxinkuckee cottage watercolor - the turtles must have jumped in the water. Seriously, they are still in the painting, but my attempt to add close up views of the turtles failed. A good friend of mine emailed to say she didn't know where to click to look at the turtles. The culprit is my limited computer skill. I don't dare even think about pulling off something like that! Sorry I goofed - here's my alibi - "my little close up photos of turtle 1 and turtle 2 decided they didn't want to be in the blog." Now it's almost 4 on Sunday afternoon, and I'm going to peel potatoes to go with our pork loin roast which is on the menu (that means thawed out) for tonight's meal. 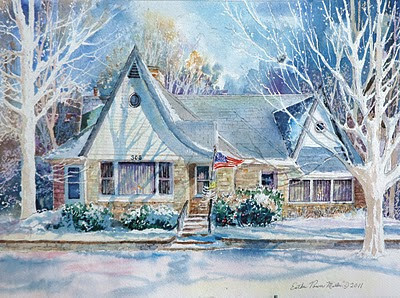 And when it's in the oven, I'll wander back to my little studio and work on the winter scene of "the house with candles in the windows." How's that for a plan? We have serious winter weather here. South Bend - about 40 miles north of us - has had 30 inches of snow within the last day or so - that's a record! We're fortunate to have much less snow here, but one must still be very careful walking and driving. Stay warm!